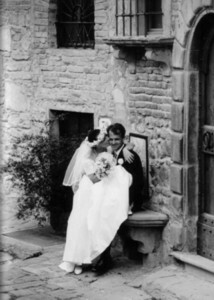 A wedding in Italy is not just something in the realm of fantasy. We can help you arrange the festivities with all the characteristics a successful italy wedding might need: a beautiful setting in Tuscan countryside or by the sea at Amalfi for the reception; catering with italian cuisine; music and more. Weddings in Italy with Ville in Italia could be the answer you've been looking for. An italy wedding is likely to be something you will remember with pleasure for the rest of your life. Contact us and see how we can help you with the arrangements for your successful italian wedding. You will find many beautiful properties in our catalogue that will undoubtedly set you dreaming pleasantly of Italy. Your friends and relations can enjoy a memorable holiday in our properties during and after the ceremony, and you will find many properties as suitable hideaways for your honeymoon. Contact us and we will endeavour to turn your wedding dreams into reality. Amalfi, Positano, Sorrento, Ravello, Tuscany, Chianti, Florence, Siena - these are all evocative place-names associated with the most pleasurable thoughts in the minds of tourists all over the world. We have many exceptional properties in these very places, nearly all with panoramic views or otherwise interesting positions, and all of high-quality or with interesting historical associations. Take a look at our luxury villas page or our villas by the sea and the lake-side villas page. We are sure that you will find many of the kind of properties you are looking for in these pages.